Hiya! I'm up on the Bramble Fox blog today with this layout full of LOVE! I have used the gorgeous 'Jar of Hearts' Perspextives from the store and 'FAV', hearts and cherubs from the February Fox Box. 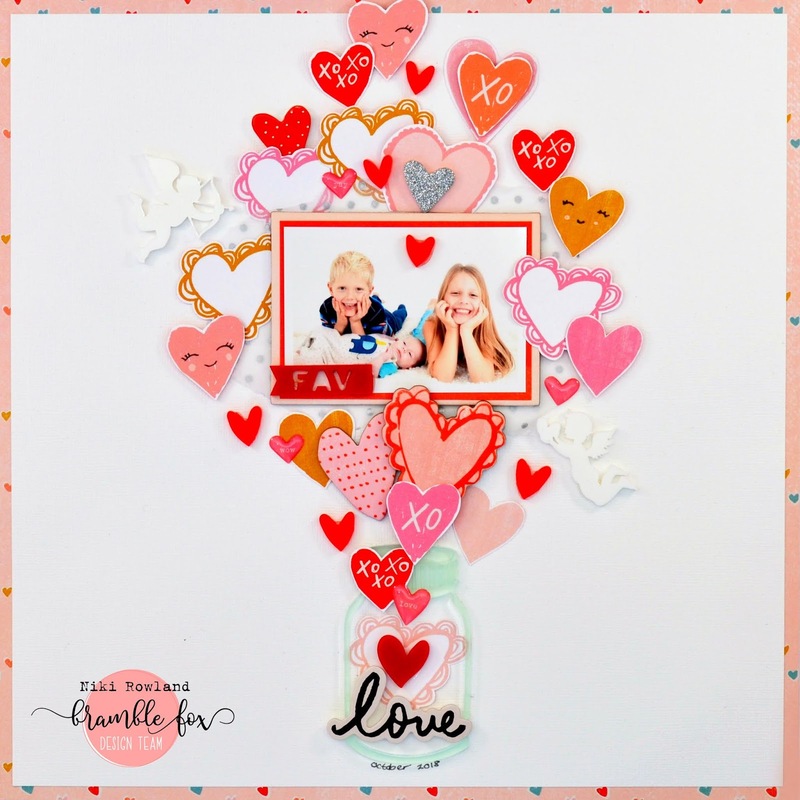 I've used Crate Paper LaLa Love for this layout and did a LOT of fussy cutting!